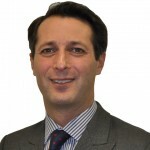 Richard Karmel is responsible for Mazars’ award winning business and human rights services which helps companies address their human rights risks as well as compliance with the UK’s Modern Slavery Act. This commentary originally appeared on the blog of author Richard Karmel. 22 February 2016 — You won’t find human rights on any profit and loss account codes of company trial balances; well I haven’t seen any in my 25 plus years as an auditor of financial statements. And indeed, why should I have seen this? What, after all, does human rights have to do with business? And if you ask most people on the street (well at dinner parties anyway – you don’t want to sit next to me! ), human rights has nothing to do with business. Then how come legislators, regulators, governments and even the EU are requiring companies to report on the steps they are taking to respect human rights? It turns out that business has everything to do with human rights. Business underpins most societies and accordingly needs to act morally as much you and I. Just because companies are legally constructed entities doesn’t mean they don’t have a moral obligation within society. One issue with human rights is the term itself – it’s generic and can reflect a different meaning to everyone of us. The labour laws under which companies operate in the UK have their foundations on fairness and human rights; the basis of health and safety laws are directly from the definition of human rights, i.e., do no harm; data protection laws are further human rights protections… and the list goes on. During 2015, the Economist Intelligence Unit conducted a business and human rights survey of senior personnel at 850 companies globally. Of these, almost three out of four respondents believed that their business had a responsibility to respect human rights beyond simple obedience to local laws. Although working at the remaining 25 percent of companies is probably not much fun, a three in four hit rate is a reasonable start. Unfortunately, the ideal follow up question to this isn’t ideal for a rating scale type survey; how does your company respect human rights? My belief, simply based on ad hoc discussions with companies, is that the majority of answers would be the wrong answer: “well my company this year contributed £x hundred thousand in building new schools or funding a local charity.” Why is it the wrong answer? Not because there is anything wrong with philanthropy; quite the opposite, provided companies don’t use it purely for PR purposes and to mask poor behaviours. However, as those of us who have been working in this area for a while will espouse: corporate respect for human rights is not about how companies spend their profits (see above re philanthropy), it’s about how it earns them. I.e., it’s no good if your company has contributed to building a school, but used child labour somewhere in their production processes or in their supply chain. Continue reading on the blog of author Richard Karmel.